Have you been looking for the Latest Dream League Soccer 2018 Kits and Logos Worry less as I have provided the latest and Updated DLS 18 Team Kits, Logos and images. 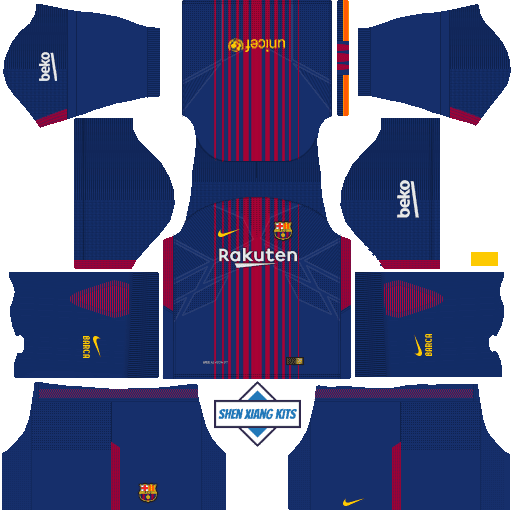 DLS 18 Barcelona Logo is also available for download, their latest Home and Away Kit for 2018/19 season can be gotten for free. It is appealing when you have the latest DLS 18 Logos and Kits, this makes the game more realistic. Dream League Soccer 2018 Kits and Logo by default aren't the official, because they do not have a license to use the official Logos and Kits like Barcelona Logo, Real Madrid Kits and other Clubs Logo. 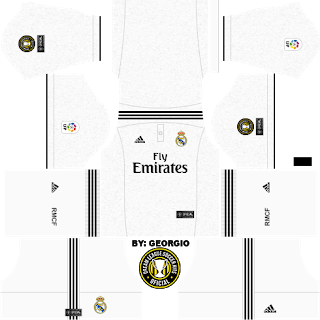 For this reason, many keep seeking the Real Dream league soccer 2018 Kits and Logo to download. If you are new to Dream League Soccer, then I will say you are really missing a lot. DLS 2018 is the best Soccer game with low MB and good graphics which can be played on Android and iOS devices. It has a multiplayer mode - Online and Offline multiplayer. Also, Dream League Soccer 2018 is an offline game, and it has interesting features and it is also updated regularly. 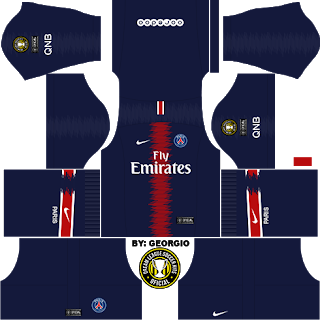 I will provide some popular Clubs DLS 18 Kits and Logos, Barcelona, Real Madrid, Athletico Madrid, and PSG. The above links are the Dream League Soccer 2018 Logo and Kits URL Downloads uploaded by me. It is very easy to update DLS 18 Kits on the game. Copy the URL under any of the team's Kits or Logo you want, now head to Dream League 2018 and head to kits >> now edit and paste the URL, it will download ( Make sure you have Data). 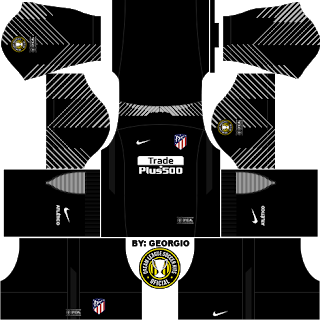 Ones did, you'll see the updated kit. In Conclusion: If you will like to update DLS 18 logo, follow the same process above but make sure you are on Logo Option. These are selected DLS 18 Kits and DLS 18 Logos URL by me, if you will like to request other Clubs or National team links, request below. Thanks for visiting and I know you'll be back!